“Floppy” p53s: have you wondered what a malfunctioning p53 tumor suppressor gene looks like? Scanning electron microscopy may not have the ability to capture an image as small as a p53, but Valerie K. Altounian, a senior scientific illustrator at Science magazine, and Rommie Amaro, a computational biologist at the University of California (San Diego), created a dimensional rendering of what a “misfolded” p53 could look like. 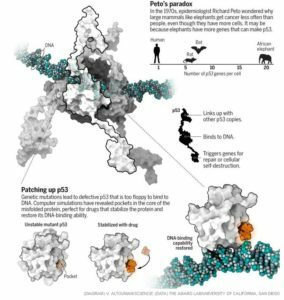 This diagram also depicts what a potential “fix” could do with drugs designed to stabilize and restore its binding capability so that the p53 can get back to work suppressing tumors. Read more here in Science magazine, 2016. Modeling Familial Cancer with Induced Pluripotent Stem Cells – Rare genetic diseases, such as LFS, make great study models because they tend to proceed from a change in a single gene. Mount Sinai’s Dr. Dung-Fang Lee and his team of researchers at the Black Family Stem Cell Institute utilized “induced pluripotent stem cells” (iPSC – “mature” stem cells) technology in his study of the development of osteosarcoma – the most common type of bone cancer in all children. His LFS-iPSC-based modeling revealed the contribution of p53, alone, to the development of osteosarcoma. “The work has implications for the future treatment or prevention of LFS-associated osteosarcoma, and possibly for all forms of bone cancer driven by p53 mutations, with H19 and p53 established now as potential targets for future drugs.” Read more here. View the video here. Cure magazine: Consider “Going on Trial.” Many benefits can be reaped by joining a clinical trial. They can offer patients access to new and promising treatments long before they become available commercially – drugs that are immunotherapies or other types of cancer medications that may represent important advances in the field. Participation also provides patients with extra monitoring and care from the trial team, and while patients will have to live with uncertainty about the risks and benefits they face as part of a trial, they will also know they are contributing to vital scientific knowledge that may lead to new and potentially lifesaving treatments for people with all types of cancer. Wall Street Journal: Why Gene-Editing Technology Has Scientists Excited. Researchers are exploring the idea of treating disease by replacing the defective gene causing the trouble. 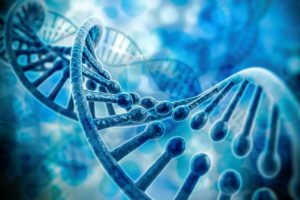 Researchers are developing methods to classify gliomas by their DNA which will assist doctors diagnose and plan therapies for brain cancer. As it stands now, patients are diagnosed based on the type of brain cells affected, i.e., glial cells, and on how the tumor appear to a pathologist under a microscope, when what really matters are the particular genetic mutations that caused the cancer to form. DFCI’s Paths of Progress: Hope Blossoms – Testing of certain checkpoint inhibitors indicate that they work better in some cancers than others, but for those who have benefited from these immunotherapy agents, the benefits tend to last for years — in some cases, as it has appeared, indefinitely. These amazing responses in treating melanoma, lung cancer, glioblastoma, etc., have quickly opened doors for additional clinical studies. NPR: Listen anytime to today’s Diane Rehm Show – “The Latest Research on Using the Body’s Own Immune System to Fight Cancer,” with Drs. Steven Rosenberg (NCI), John Sampson (Duke University Medical Center), and Suzanne Topalian (Johns Hopkins Melanoma Program). DCFI’s Insight: New research brings better understanding of brain tumors, treatment advances. Researchers are focusing on tumor microenvironments, genomic landscapes, molecular alterations, a newly discovered protein (Eya1), and incredible advancements in treatment! DFCI’s Insight: We now know that some viruses can cause some cancers, but here’s more on some viruses that may be able to kill cancer. Washington Post: Credit Dr. Steven Rosenberg’s stick-to-itiveness during his four decades at the National Cancer Institute for the successes with immunotherapy to fight cancer. Wall Street Journal: “With immunotherapy, we’re treating the immune system, not the cancer…” Read about the successes in cancer treatment and view the stories of the survivors. 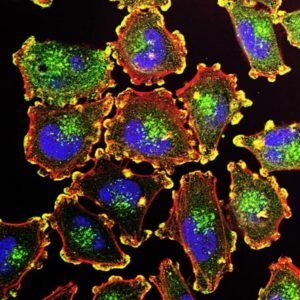 DFCI’s Insight: More hope with immunotherapy for lung, breast, and ovarian cancer, as well as melanoma – from the AACR annual meeting. Memorial Sloan-Kettering Cancer Center is offering a live webcast on immunotherapy, “Engaging the Immune System to Battle Cancer,” this Monday, April 27, from 6:00 to 7:30 PM ET. DFCI’s Insight: Lung cancer treatments have been greatly enhanced with targeted therapies – doubling, tripling, and sometimes quadrupling the response rates. Watch the webchat for the latest on being precise. More from the 2015 AARC Annual Meeting: an overview of the studies on combination immunotherapy for treating melanoma. NCI Cancer Topic: Explaining Immunotherapy – treatments that restore or enhance the immune system’s ability to fight cancer. DCFI’s Insight about progress with cancer vaccines – using immune system’s ability to detect and attack cancer cells: New Immunotherapy Vaccines Show Promise in Treating Brain Tumors. Also to be presented at the American Association of Cancer Research’s Annual Meeting this month: Dysregulation of DLL4 gene expression in Li-Fraumeni syndrome and tumorigenesis. Researchers may have a strong lead on an immuno-therapeutic target in LFS and breast cancer patients. Read the abstract here. “With immunotherapy, we’re treating the immune system, not the cancer…” Read about the successes in cancer treatment and view the stories of the survivors. WATCH! The first US Senate hearing on cancer research in 6 years – THE FIGHT AGAINST CANCER: CHALLENGES, PROGRESS, AND PROMISES, May 7th, 2014. Topics included increasing the budget for cancer research at the National Cancer Institute (“investing” versus “spending”), the relevance of genetics and basic immunology, the benefits of targeted treatments & second-line drugs based on biomarkers, and the importance of holistic system approaches. View the whole hearing or just read the statements of Senator Nelson and Senator Collins, as well as the prepared testimonies of Dr. Harold Varmus (Director of the NCI), Valerie Harper (cancer survivor), Dr. Thomas Sellers (Director of the Moffitt Cancer Center & Research Institute), Mary Dempsey (of The Patrick Dempsey Center for Cancer Hope), and Chip Kennett (cancer survivor). DFCI’s Insight: Fighting cancer with patient’s own immune system has been effective in treating melanoma, prostate cancer, Hodgkin lymphoma, and certain brain tumors. Dana-Farber Cancer Institute: “People with high levels of vitamin D in their bloodstream have a lower overall risk of developing colorectal cancer…:” Vitamin D Protects. AACR: Zach thrives after participating in a clinical study that targeted the genetics of his lymphoma. Specificity matters.